MUSCATINE — The number of households struggling to meet basic needs has increased, according to a recent report from United Way. 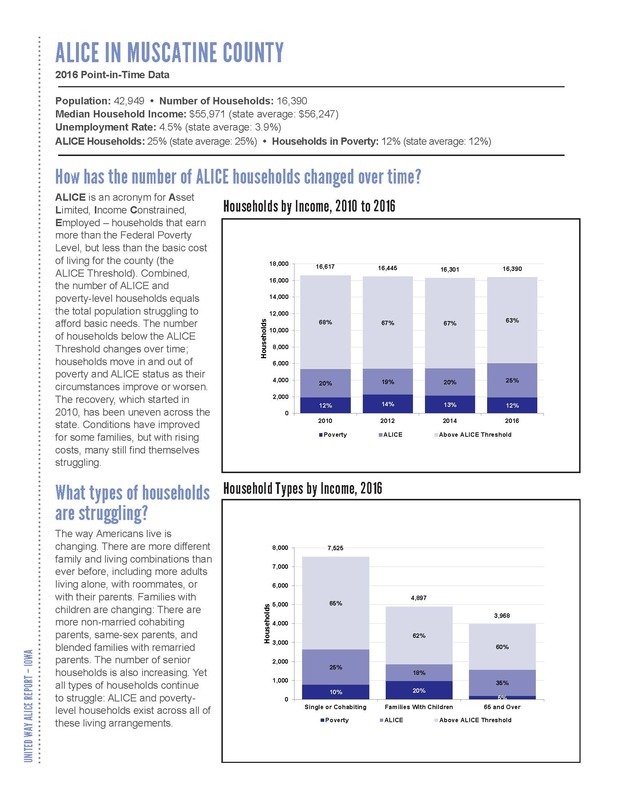 The Asset Limited, Income Constrained, Employed, or ALICE, report showed that of the 9,357 households in 2016 in Muscatine, 42 percent fell into two categories: below the federal poverty level or above the federal poverty level without earning enough to afford the basic cost of living, also known as the ALICE threshold. 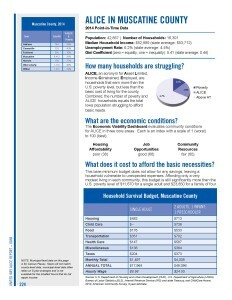 The reported portion of households across the state that are unable to afford basic needs is 37 percent and the report reveals that it’s a multi-faceted issue, affecting all types of households. Click here to read more. 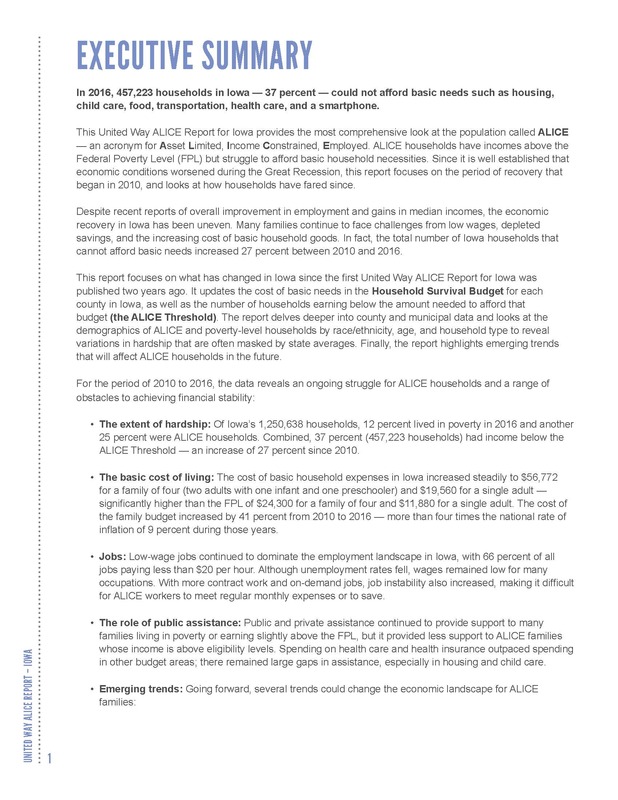 More than a third of Iowans across 457,223 households can’t afford basic expenses like housing and transportation, according to a new report from the United Way. 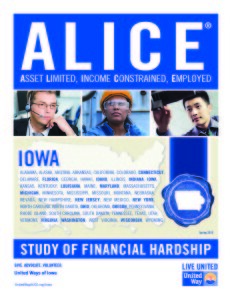 In spite of economic recoveries since the Great Recession, many Iowans’ wages aren’t keeping up with the cost of living. Michelle Sonderleiter is a single mom trying to support her five daughters age three to 18 on $12.00 an hour. She typically works 40 hours a week at a hotel in Des Moines, sometimes fewer hours if business is slow. Even working a full-time job, there’s not much left at the end of the month, she said. To read more, click here.